Heavy duty refrigerated door lock. Safety design allows exit even if latch is padlocked. Has adjustable roller strike to provide a perfect seal. Holes drilled and countersunk for 1/4″ screws. 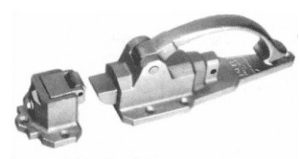 Latch body and strike case are made of rugged cast iron, all other parts are ductile iron. Specify offset required. For emergency exit, turn knob to right. for normal exit, simply push exit bar. 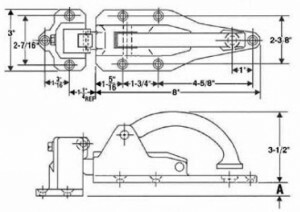 Strike : Flush to 11/16″, Offset – 11/16″ to 1 1/2″ Offset. 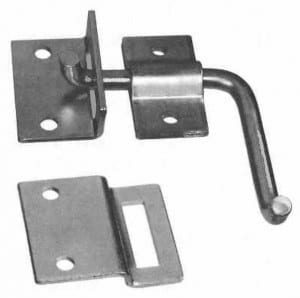 These heavy duty latches are for use on refrigerators, freezers, refrigerated trucks, storage buildings etc. 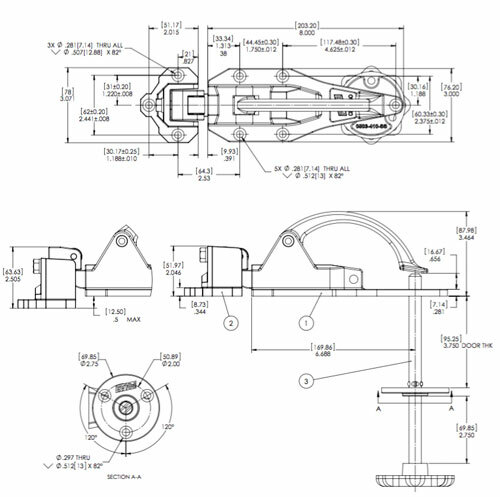 Adjustable strike can adjusted for perfect seal to prevent the loss of refrigeration. May be padlocked. Holes drilled and countersunk for 1/4″ screws. Inside release also available. Specify offset required. Padlock not supplied. Designed for small refrigerator and ventilator doors. 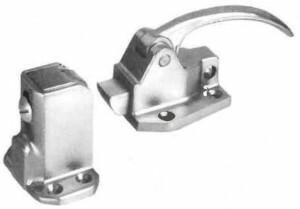 Entire lock is manufactured form 304 non magnetic stainless steel. Has adjustable roller strike. Padlock hole in body. Universal for left or right hand doors. Holes drilled and countersunk for No. 8 screws. 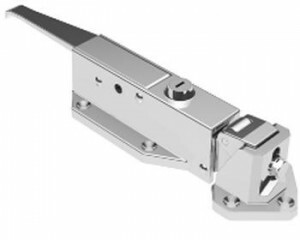 Provides two heavy duty locks for positive latching – Supplied with a 50″ center-to-center, 3/4″ dia. stainless steel connecting tube – body made of chrome plated brass – strike is polished stainless steel – supplied with 5032 push rod – consult 0512 lock for dimensions and mounting information. 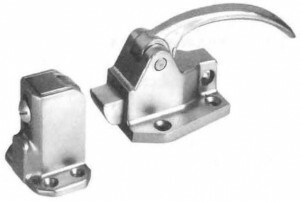 These slim heavy duty safety latches allow for existing from inside with a push of the inside release whether the latch is locked or unlocked. 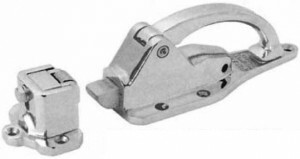 Latch can be locked with a keyed cylinder or a padlock. The keyed cylinder has a stainless steel scalp with a dust cover to protect the cylinder. 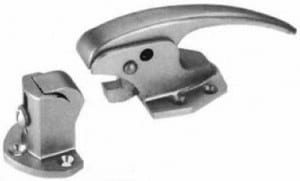 All internal lock mechanisms are stainless steel in both versions. Mounting holes for 1/4″ counter sunk fasteners. Padlock not supplied – specify offset required.